While playing online casino games at work isn’t generally advised, it worked out quite well for one New Jersey gambler last week, who banked a record-breaking jackpot on the ever-popular progressive slot Divine Fortune. The life-changing win came during a routine conference call, when a Gloucester County woman decided to open up the Play SugarHouse mobile app and try her luck at the NetEnt-produced game. Placing a bet of just $2, the woman made her lucky spin, triggering the Mega Jackpot, worth a hefty $287,945. The six-figure score is the largest Divine Fortune grand prize awarded to date in New Jersey. “I was actually on a work conference call and almost screamed out loud,” said the woman. Luckily she didn’t, and presumably kept her job. While some NJ jackpot slots have gone years without paying out (looking at you here Borgata) big wins in Divine Fortune are not few and far between. The game was only introduced last year, but is responsible for more jackpot payouts over $50,000 than any other progressive slot in the state. To date, the game has paid out $2,753,642, around half of that this year, according to data posted by the Division of Gaming Enforcement. Surprisingly, several of those reported jackpots have been won by gamblers playing the mobile version of the game. Five smartphone users have had the pleasure of hitting a Divine Fortune jackpot on small screens, for nearly $800,000 total. Unlike some jackpot slots, which are exclusive to certain operators, NetEnt has teamed up with a variety of casinos to offer its flagship jackpot game. It’s not uncommon for state iGaming sites partnered with the same brick-and-mortar casino to pool progressives, which helps pump up their grand prize values rather quickly. For the most part though, casinos running Divine Fortune are running the game un-networked – the exceptions being Borgata and licensee MGM, and Resorts and Mohegan Sun Casino. Divine Fortune may be the most widely offered jackpot slot in the state, but it’s certainly not the only option. 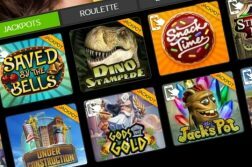 However, the NetEnt game seems to have done something that other slot developers have failed to match – leveling out the game so that jackpots aren’t hit until they fall into a sweet spot. Some jackpot games have a tendency of hitting quite quickly, before having a chance to accumulate a decent-sized grand prize, like Borgata’s Ca$h Fla$h network titles, which always seem to go off in the four to five-figure range. Others do just the opposite, holding onto their jackpots for painfully long stretches at a time. Big Series progressive slots, also offered at Borgata-licensed sites, fall into this category. 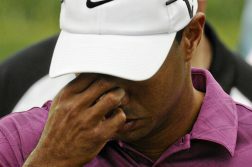 That jackpot, which is fed by half a dozen titles, was last hit all the way back in 2015. With Divine Fortune, the developers at NetEnt have created a game which seems to fall in the Goldilocks zone, producing handsome jackpots which are not virtually impossible to trigger. As we mentioned, Divine Fortune isn’t the only game in town, in fact there are well over a dozen progressive slot titles to choose from, spread across the state’s online casinos. Golden Nugget: Captain Nemo and Millionaires Club III are both networked together at the site, and boast a current jackpot of just over $500,000. Rags to Riches is another good option, and sits at around $137,000. 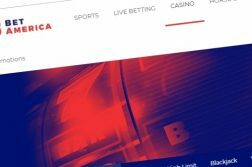 Borgata/playMGM/Party Casino: Borgata-licensed gaming sites offer a large selection of jackpot slots, but are generally networked into two different, and unattractive, pools. The Big Series jackpot currently awaits a winner at nearly $2.5 million, while the smaller Ca$h Fla$h progressive is at around $1,000. 888 Casino/Harrah’s: 888 and Harrah’s share a majority of their jackpot slots, and boast the biggest collection of such games in the state. The jackpot fed by games like Gods of Gold and Irish Riches currently sits at $113,000. Gods of Gold produced the second biggest progressive payout in state iGaming history in June, when a Harrah’s Casino player took home a $687,786 payday. Caesars: Also worth checking out a pair of networked titles – Siberian Storm and Mega Jackpots Cleopatra – at Caesars, which boast a tantalizing $501,000 jackpot. Tropicana/Virgin: Tropicana and Virgin are exclusive providers of the popular Wonderland slot, which is also worth a look at its current $239,533 level. In addition, Virgin players can enjoy Deal or No Deal, which sits at a little over $150,000. A wealth of options await at NJ online casinos, but for one reason or another, players can’t seem to get enough of Divine Fortune. Which NJ Online Casinos And Games Paid Out The Largest Jackpots In 2018?